“I need to be tough for my kids. They don’t need to see me cry,” one parent said to me about their 3 and 7-year-old children. As we began exploring this statement, it became evident that the parent didn’t want her young children to worry about her if she was crying. Her spouse had recently died. She said she holds it in all day around the kids, because she is afraid, they will think she is overwhelmed by the sorrow or think that something was wrong. Parents are afraid to grieve around their younger children for fear it might make them hurt, make them hurt more, make them sad, or cause them to express something parents can’t handle. Yet parents are also a model of grieving for children. Children need examples of how to grieve and how to put into words, what they are feeling. Is it ok to cry in front of younger children? Yes, it is. Crying in front of younger children provides a natural and healthy response to grief – expressing our love for someone who is no longer present. Grief is love not wanting to let go. As parent, it is helpful to allow yourself to cry in front of your children and express “I am ok, the tears are normal, and that I miss (name the person who died). 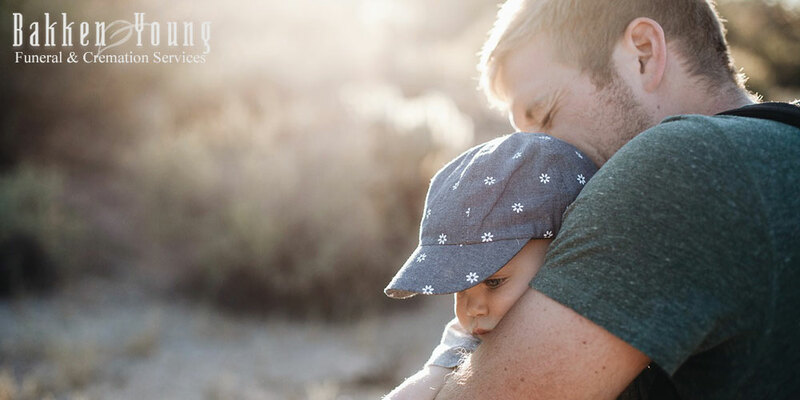 By modeling this behavior and words for your children, it can help them in turn be able to say, “I really miss dad.” That way grief is not hidden or pushed down. It is helpful to share your grief, and not impose your grief on your child. Parents also need other adults to express their grief to, whether that’s a licensed counselor, or a trusted friend, or another parent who has walked in similar shoes.